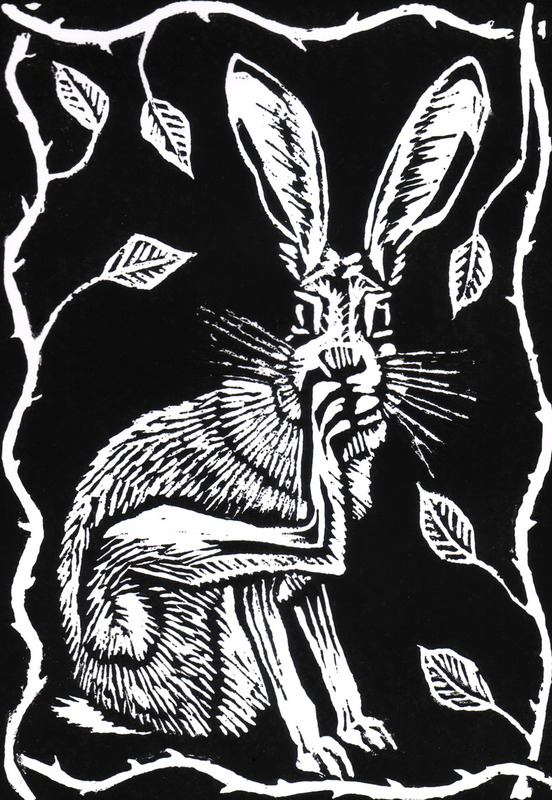 ‘Scratching Hare’ lino print 2015, number 5 of 14. Original artwork, 125 x 185mm, unmounted. Lino ink on A4 paper. Print may vary slightly from the photograph.